In Los Angeles, a variety of work related issues arise when a woman is pregnant. 2. Pregnancy Related Accommodations such as the ability to frequently use the bathroom due to pregnancy, modifications of meal breaks and/or allowing pregnant women to eat thorough their work shift, or a few minutes to rest. 4. Employers refusing to allow employees to come back to work after a pregnancy leave. 5. Employers not accepting nor following doctor’s notes providing time off due to pregnancy, or pregnancy related medical restrictions. 6. Harassment due to pregnancy. Pregnancy harassment includes failure to abide bydoctor’s notes, getting angry when a woman must attend a pregnancy related doctor appointment, odd comments like, “Why did you have to get pregnant?” Comments about the pregnant woman not being married, or they should not be having a baby with so-and-so and then the pregnant woman is mistreated during her pregnancy. 9. Legal questions about the relationship between disability laws, pregnancy laws, and Family Medial Leave. For example, what laws is aggravated diabetes caused by pregnancy covered under? 10. Baby bonding. When is baby bonding allowed? What laws cover baby bonding? Is there a particular employer a pregnant woman must work for in order to get baby bonding? 12. Job terminations due to pregnancy including a failure to reinstate after maternity leave.The inability to interview for available positions because the pregnant woman is on leave during a workplace restructuring and ultimately a layoff due to pregnancy. The Employment Lawyers Group has handled hundreds of work related pregnancy cases. 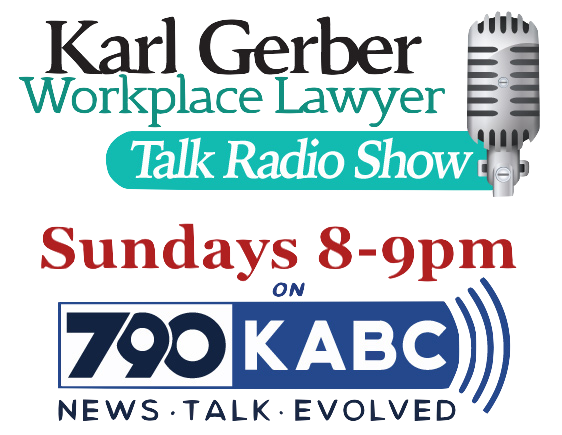 Pregnancy lawyer, Karl Gerber has won multiple pregnancy discrimination cases in court and binding arbitration. He has also represented the same women in appeals, after winning their pregnancy cases in trial. We have also succeeded in resolving many pregnancy discrimination cases through mediation and settlement. Please allow us to be your pregnancy lawyer. We have represented women in workplace pregnancy lawsuits who were residents of the following, diverse California cities: Arleta, Bell, Compton, Eastvale, Encino, Escondido, Fontana, Gardena, Hayward, Long Beach, Los Angeles, Pacoima, Panorama City, Pomona, Reseda, Redondo Beach, San Diego, San Jose, San Luis Obispo, Santa Fe Springs, Sherman Oaks, Simi Valley, South Central Los Angeles, Sun Valley, Sylmar, Van Nuys, West Hollywood, Westwood, Whittier, and Woodland Hills.